Chris Read done did it again with another high quality mix. Explanation of the mix below. This mix leans quite heavily toward sample based material from the latter part of that era so we’ve thrown an extra treat on the CD version – a bonus mix of electro rap and electro funk from the early to mid 80s.This mix, together with the bonus electro mix will appear on a very limited edtion C, available from Classic Material events. 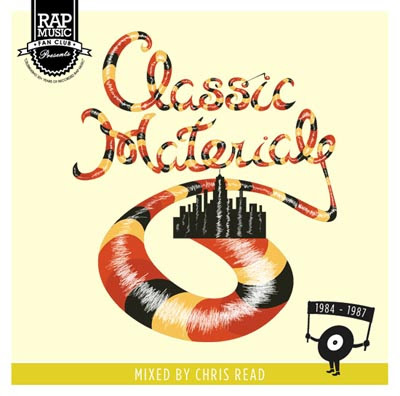 The first Classic Material event take places at The CAMP (City Arts and Music Project) on Saturday 16th October 2010 with special guest DJ FORMAT playing a 7inch only set of early 80s hip hop alongside CHRIS READ, DJ NICKNAME and DAILY DIGGERS. Entry is Free!